Welcome to another exciting edition of our weekly newsletter. From course records to golfing habits we do and don't recommend, this week's newsletter is a must read for all golfers! We have lots happening in the shop at the moment too, so be sure to pop your head in next time you're here and take a look around. Have you ever hit a horrible shot form the fringe? If you find yourselves answering yes to the statement above, this week’s tip is for you. Maybe you stubbed your wedge and watched your ball dribble just a few inches forward. Or, maybe you used your putter but you hit it way too hard and watched your ball roll way past the hole. Either way you’re going to wind up with an extra shot on your scorecard and an overwhelming sense of frustration. The following tips will help you avoid these common issues. You’ve all heard the saying “A bad putt is almost ALWAYS better than a bad chip.” That’s why I always recommend using either a putter or hybrid whenever you are playing from the fringe, with a more rounded leading edge you can avoid those stubbed shots. 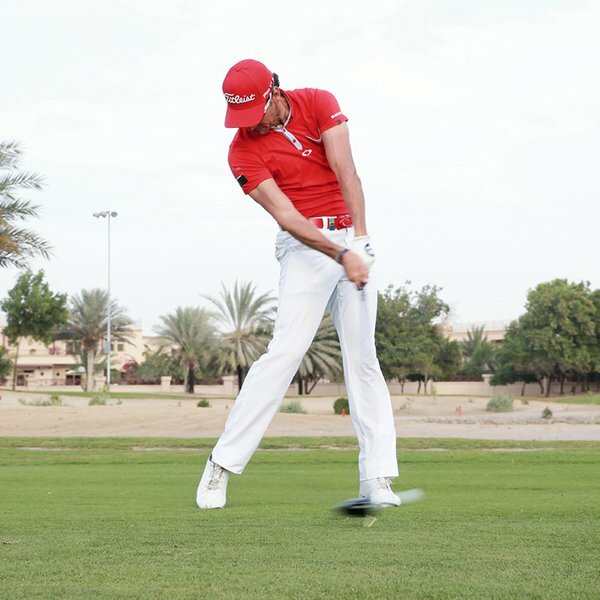 To take control of the distance with these shots, try this! You are going to focus more around length of swing rather than speed. Ensure you always adopt a stance shoulder width apart. When playing uphill ensure your length of swing is outside the width of your stance. 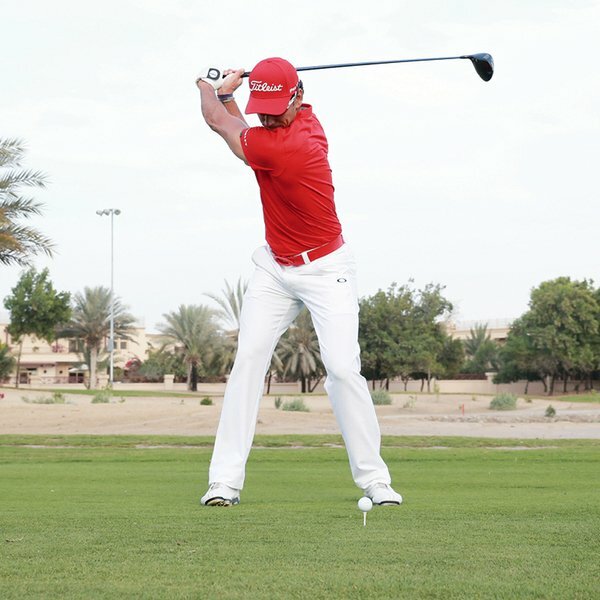 When playing along relatively flat terrain ensure your swing works to the width of your stance. 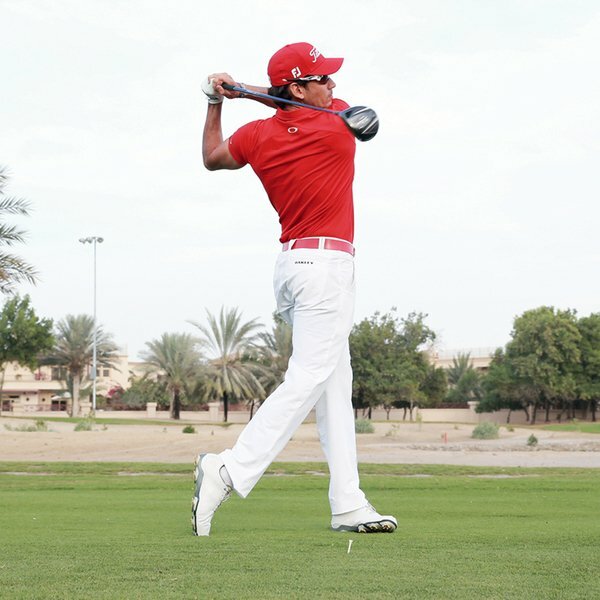 When playing downhill keep the swing within the width of your stance. As you walk up to the green make sure you are looking for the slope of the terrain. 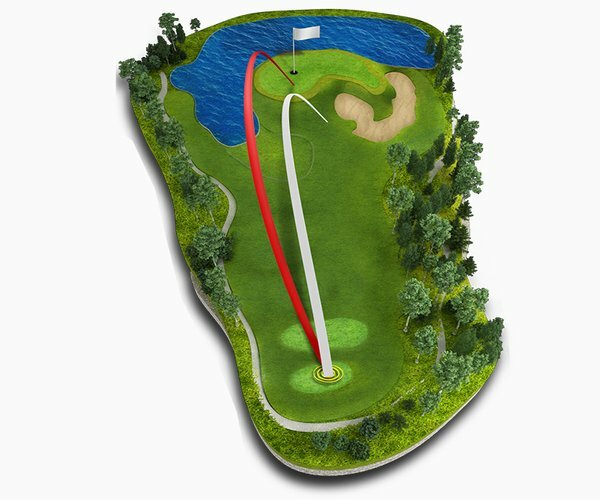 Is the hill above your ball, below your ball, or even with your ball? We will then relate that to our length of swing. Is the grass wet or dry? 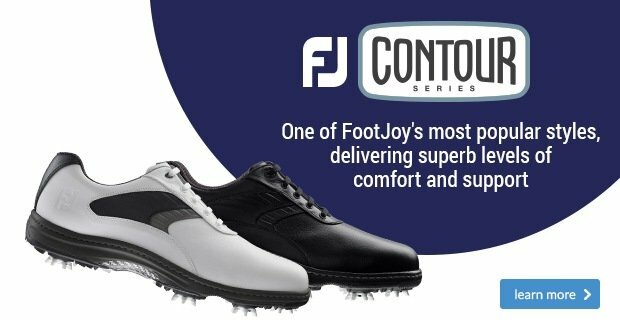 Wet or damp turf can slow your ball down while dry turf can cause your ball to roll out much faster, for the faster shots try the putter and the hybrid for the slower. Once you’ve evaluated the terrain and the turf, and established your target line it’s time to address the ball and make your stroke. Just remember to accelerate your putter head through the ball at impact. Slowing down through the ball at impact will lead to stubbed shots and inconsistent performance. Keeping these tips in mind will give you a big advantage next time you find your ball on the fridge. 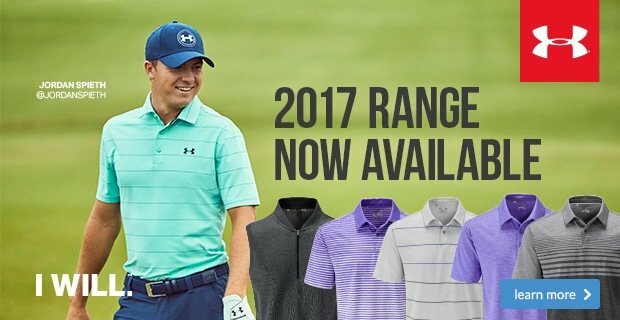 Just don’t forget to give them a try on the practice green too! 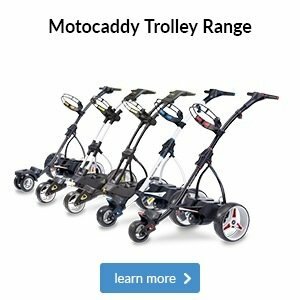 Powakaddy are offering a free golf bag when you purchase any FW7 model Trolley. 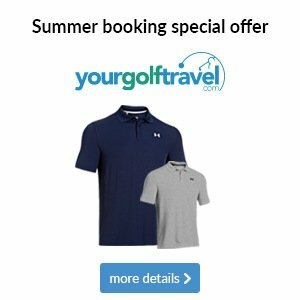 This offer runs from Monday, 14 August through to Monday, 11 September 2017 or whilst bag stocks last. We have models in store to view and place orders. 25% OFF Marked ladies and mens clothing. 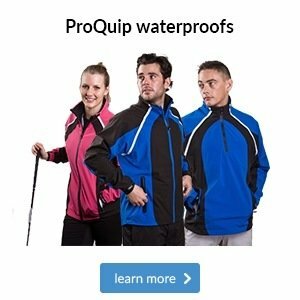 25% OFF Marked ladies and mens waterproofs. 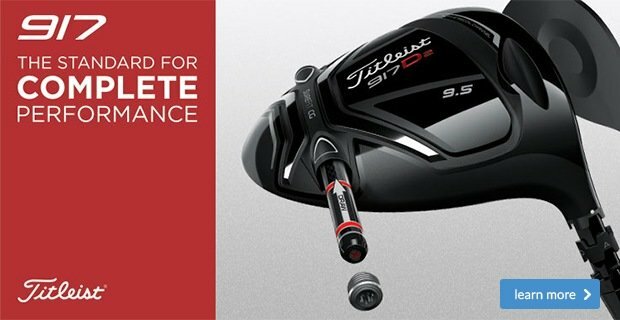 Innovative face-flexing technology launches the ball faster and higher to give you tour-level distance with stopping power and forgiveness. The multi-material G400 iron flexes like a catapult as COR-Eye Technology and a top rail undercut launch the ball higher and farther. It’s not uncommon for us to see members playing a scuffed ball, using it until it eventually gets lost. But ball damage, such as worn dimples or surface cuts, can alter the airflow over your ball, making your trajectory more erratic and causing wayward shots and shorter carries. You might think this would have minimal effect versus and unblemished ball, but a mark across just a few dimples can make 10 yards difference to a shot, as we’ve demonstrated in the illustration here. 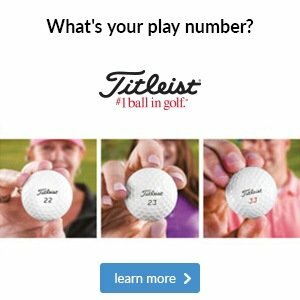 You have the ability to ensure your ball is the same on every hole, which is why we recommend finding one you like and sticking to it to improve your consistency. 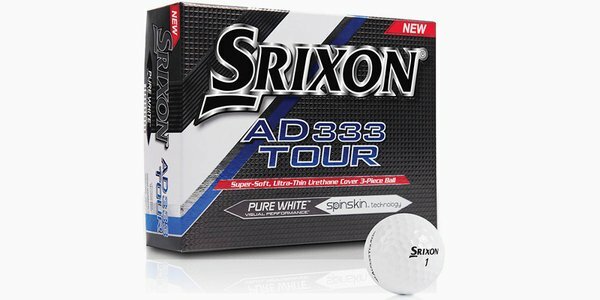 One to definitely try is the Srixon AD333 Tour, which has a Speed Dimple pattern that reduces drag for longer carries, plus a SpinSkin cover coating that increases friction for added spin. We’re well into summer now, which means we’re likely to see the sun shining (fingers crossed). While we’re all happy to wear sunglasses to see better in the car, we know many of you don’t trust them to not fall off mid-swing when playing golf, but that needn’t be an issue. As you can see in the images above, your head moves in unison with your swing, so it’s very important when selecting eyewear that offers UV protection that you also choose something with this in mind. 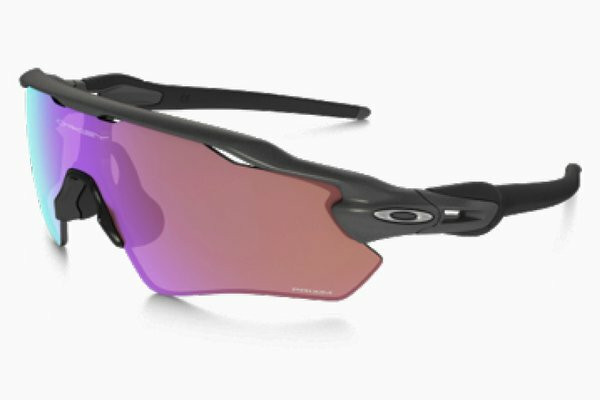 These Oakley Radar EV Path Prizm sunglasses have earsocks and nosepads that increase grip, even when you’re hot and sweaty. This also makes them perfect for running and cycling, which adds some great value. There are a host of other benefits we can discuss too, plus many different styles from wrap-around to stylish lifestyle looks that you can try on here in store. 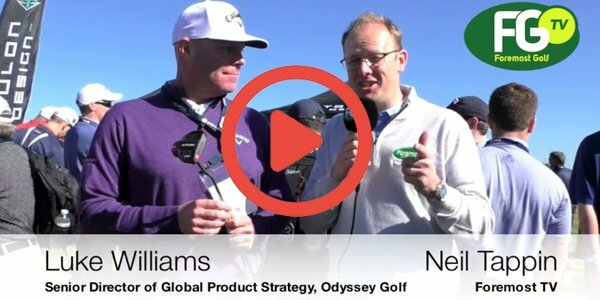 Odyssey's O-Works range of putters fuses stunning looks with Microhinge Insert Technology to provide an unmatched, smoother forward roll - something which will help you hole more putts. 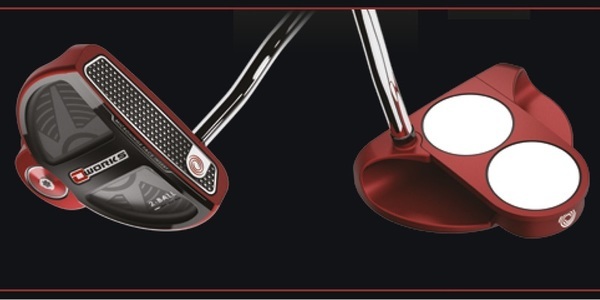 But Odyssey haven't stopped there, as this highly popular line-up now includes a beautifully clean, simple red finish that's become a popular choice on tour.